The Higbee building is probably best known for its cameo in A Christmas Story. 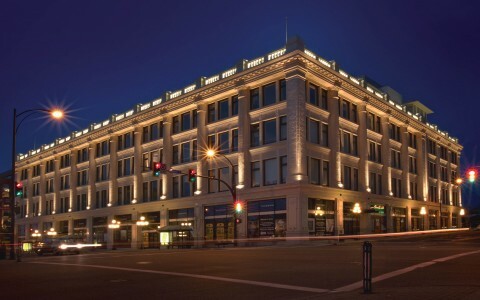 Once a bustling department store, it was eventually used for office spaces. 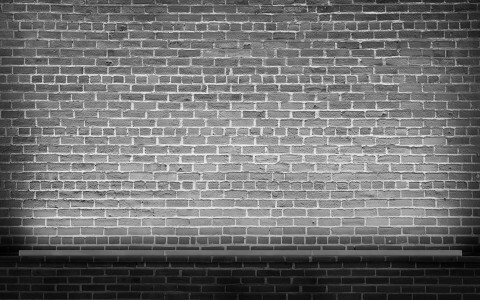 Lighting designer Sonia Brown from Illuminating Concepts was asked to provide a warm lighting scheme for the building's exterior that would energize the previously quiet Downtown area. 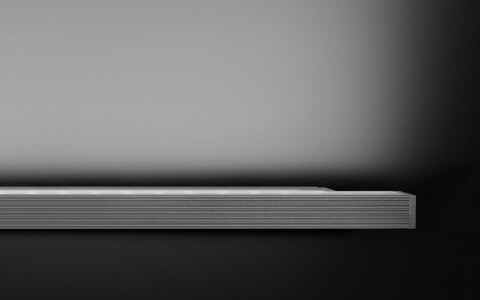 Through thoughtful use of lighting, a designer can infuse environments with style, ambience, intrigue, and excitement. 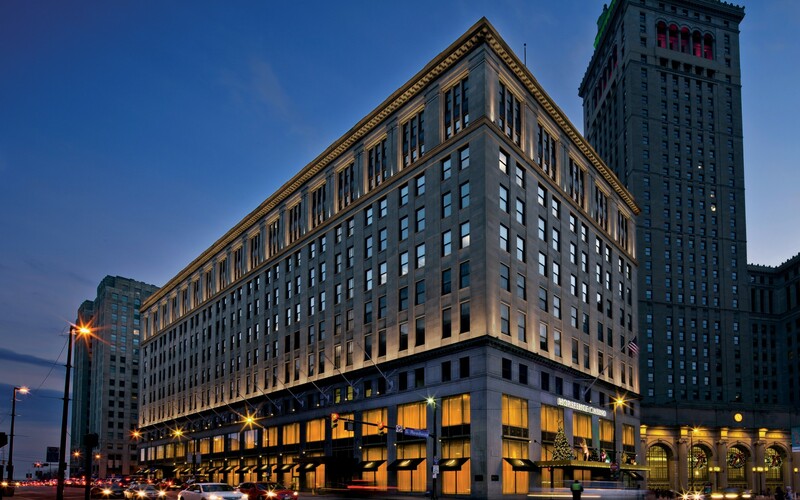 Originally built in 1930 by architecture firm Graham, Anderson, Probst & White, Cleveland's Tower City Center housed the popular Higbee department store until 2002. The store was made famous by the hit movie A Christmas Story. Since then, the Higbee building was used for office spaces, but nothing seemed to restore it to its former greatness. 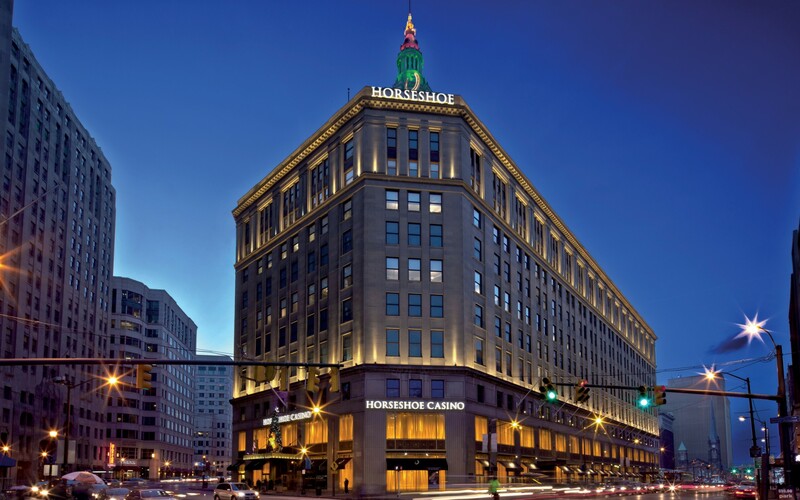 In 2010, planning and construction began to transform the first 4 floors of the Higbee into the Horseshoe Casino. Caesars Entertainment Corporation and Rock Gaming LLC hired project architects ka and design architect Friedmutter Group to remodel the environment, and Illuminating Concepts was brought in to provide interior and exterior front-of-house lighting and control. 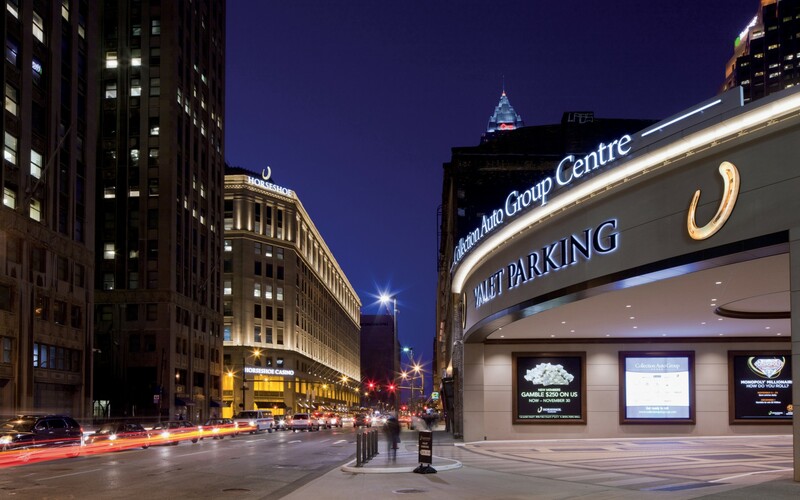 "Cleveland residents were excited to see a key local historic landmark brought back to life in their city's core," says Sonia Brown, Senior Lighting Designer at Illuminating Concepts. "The interest from pedestrians passing the site while construction and commissioning was underway was hard to miss. Everyone wanted to know more and get a glimpse into the new casino." 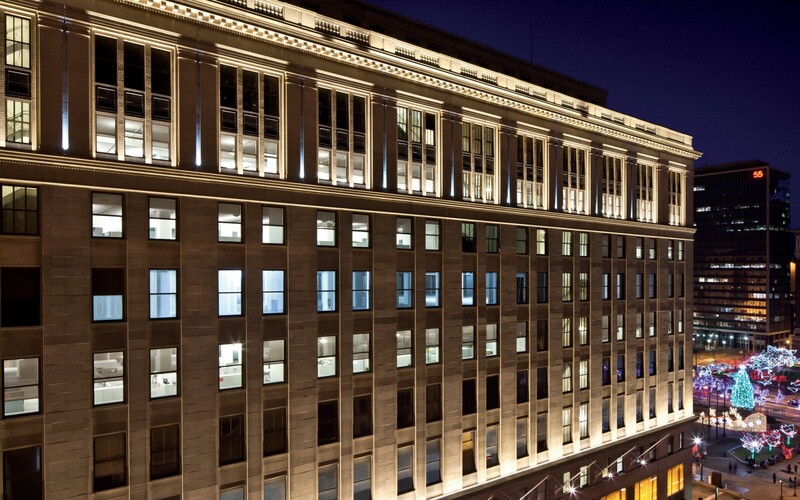 Lumenpulse luminaires were chosen to light the Higbee building's exterior. 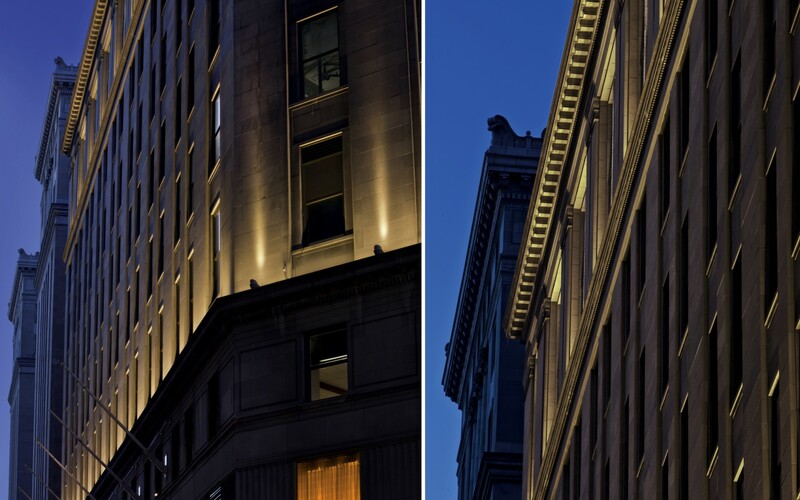 "The exterior lighting concept for the Higbee Building utilizes layers of façade lighting to provide long-range visibility and short-range experience, while enhancing the historic equity of the project," Brown explains. "At the pedestrian level, the goal was to provide a sense of visibility and safety at the sidewalk level with stronger illumination at destination points." 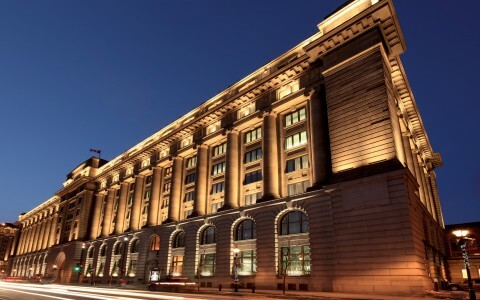 To emphasize the building's ornamental details, Lumenfacade and Lumenfacade Horizontal were mounted on top of the cornices on the 4th and 9th levels, and aimed upward to graze the surface. 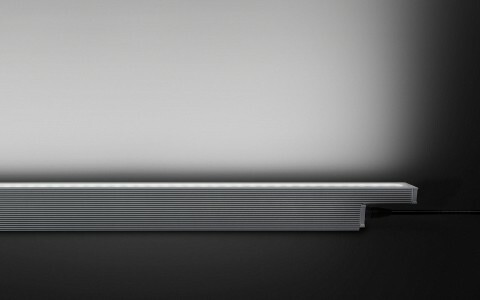 "These fixtures provide a soft gradation of light up the vertical surface of the façade, while also providing sharp highlights on the lower profile of the next cornice," Brown adds. "Beam control was key in achieving the long throw distances from one decorative cornice to the next." 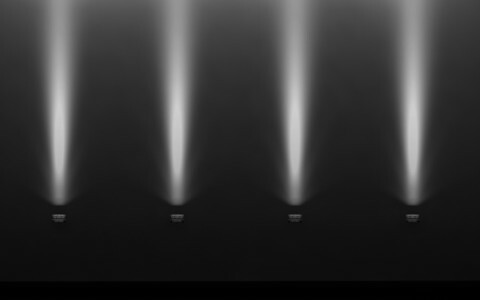 Meanwhile, Lumenbeam Large fixtures with a narrow 6° spot were installed between window pairings and in other strategic areas to outline its form. 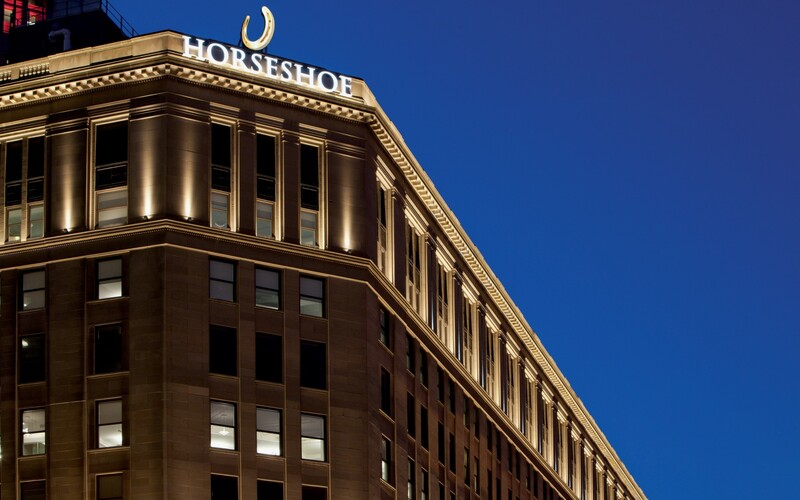 Because the Horseshoe Casino is located within a cluster of high-rises, visors were used to minimize the glare to neighboring building occupants. 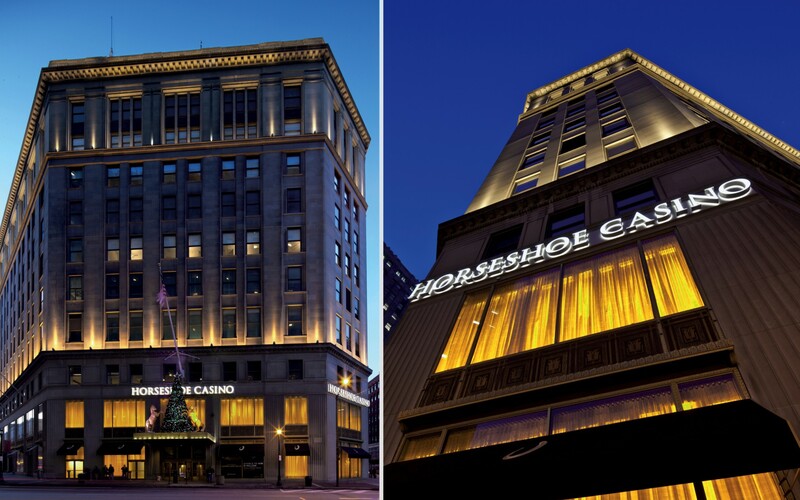 At night, the Horseshoe Casino emits a soft white glow that distinguishes it both in its urban landscape and as an architectural jewel. 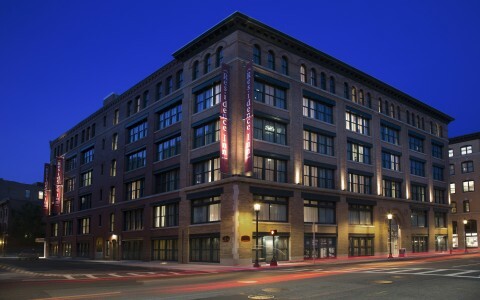 "The Higbee building lent itself to a warm temperature lighting approach," says Brown. 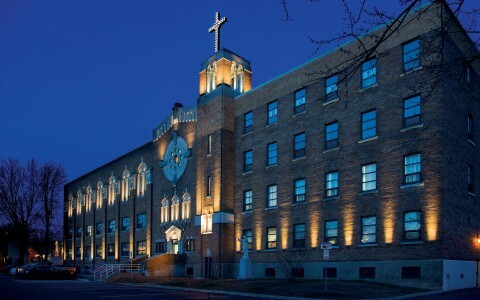 "[Because of] the large scale of the façade combined with multiple lighting techniques, it was important to use a line of fixtures from a single manufacturer to ensure consistency of color temperature." Working on a historic building poses its own set of challenges. Building penetrations for power, mounting and the fixtures' visibility are always important considerations with heritage structures. 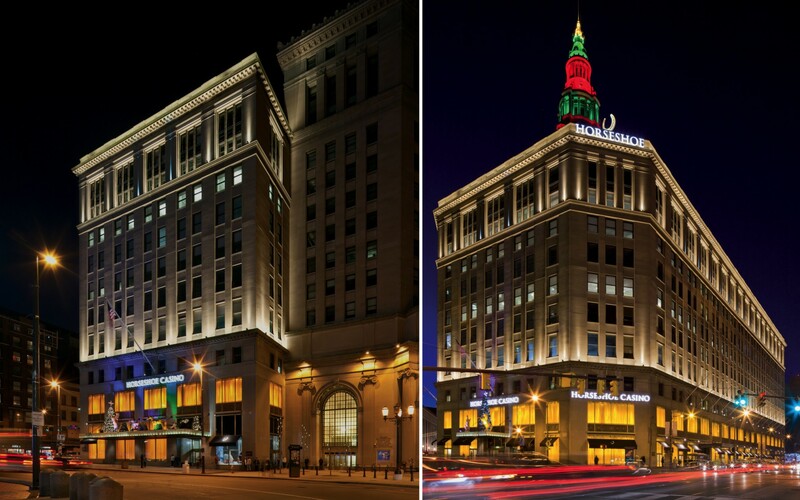 Lumenpulse's run distances and on-board drivers helped Illuminating Concepts execute their design while minimizing the impact on the building. "The low wattage of the fixtures combined with the ability to through-wire mitigated the need for additional building penetrations," Brown recounts. Since opening in May 2012, the Horseshoe Casino has energized the previously quiet downtown area. It attracted 2.5 million visits in the first 6 months and businesses have been opening in some of the surrounding vacant spaces to meet the sudden commercial demand. The casino is even adding more gaming tables. "Through thoughtful use of lighting, a designer can infuse environments with style, ambience, intrigue, and excitement," says Brown. 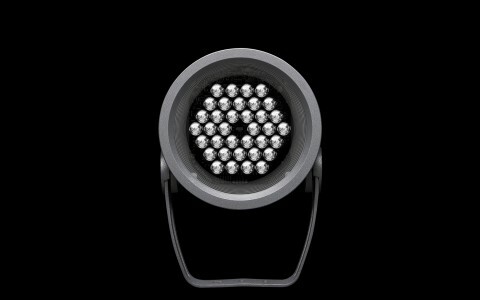 "Good lighting design goes beyond simple aesthetics and functional requirements. 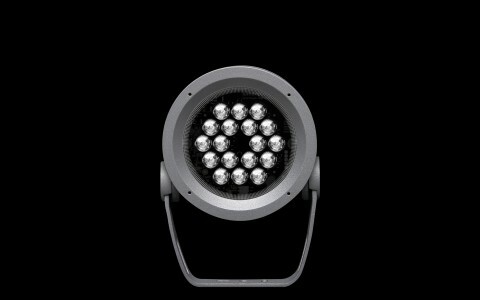 Good lighting design defines the experience."